In a world where complexity increasingly touches every aspect of our daily lives, Sanford innovations will lead in bringing care and simplicity to people. It is promise `simplicity` encapsulates their commitment to intimately understand the needs and aspirations of consumers and customers in order to deliver innovative solutions that are advanced and easy to experience. 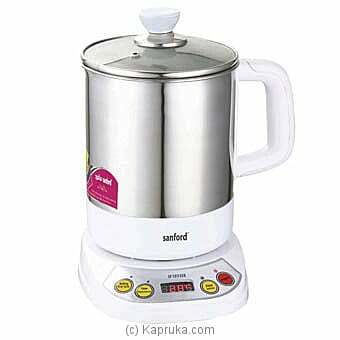 Multi functional, Can boiling vegetable, Eggs, Noodle, Flower tea and many more.